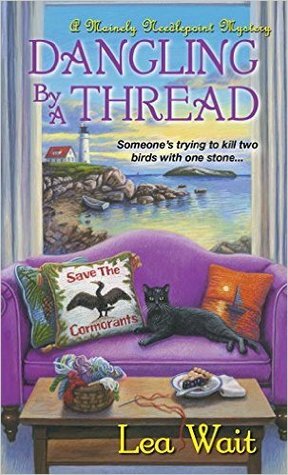 Book five in the Mainely Needlepoint series. In this book Angie's friend Sarah has found her lost family members, and her Uncle who is dying tries to introduce her to the family with some really mixed results. While coping with the news Uncle Ted dies the very next day during a lobster bake they all put together. Before they can cope with that another member of the family is found dead. Of course there is an investigation that Angie finds herself mixed up in. The development is awesome, and I found the ending a little surprising to say the least. I give it 4/5 stars. Book four in the Mainely Needlepoint series. Angie is getting close to the six month trial period she gave herself for deciding if she will stay in Maine. She seems quite happy with her new role in life if a little lonely after Gram and her cat Juno moved out of the family home. In this book she meets Jesse a veteran that chooses to live his life on a deserted island off the coast that he half owns with his cousin. When a wealthy man visits he decides he would like to buy the island despite the fact that it is a nesting ground for at risk birds. Of course poor Jesse is murdered though the culprit was not who i expected. Angie adopts a little kitten she names Trixie along the way making her home feel more home-like. Overall good development, smooth writing, and plenty of nice little details. I really enjoyed the environmentalists stance on the birds and the fight they were willing to mount to save them. I give it 4/5 stars. *Received an ARC copy from Netgalley in exchange for an honest review. Expected publication date is May 2, 2017. 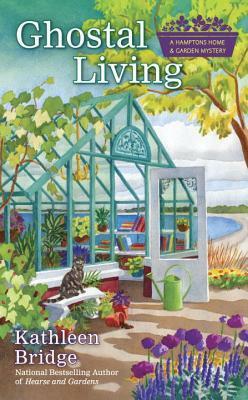 Book three in the Hamptons Home * Garden Mystery series. I am loving Meg by this point. 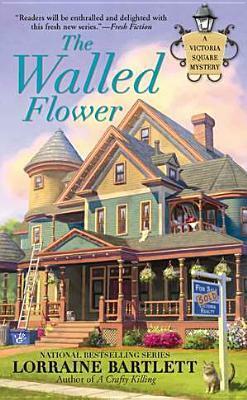 In this book she gets to decorate an entire B & B in bibliophile period style which is right up her alley. There is also a rare Fitzgerald manuscript involved in the mystery. The romance angle takes a little loop as well though I was quite happy by the end. 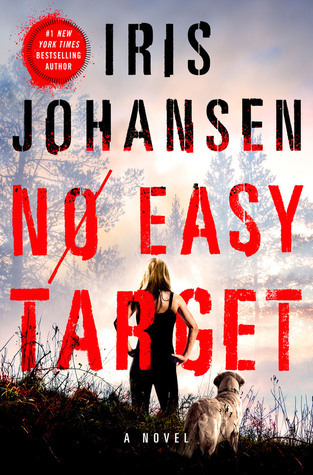 Smooth writing, natural progression, and enough action to keep the reader hooked until the last page. 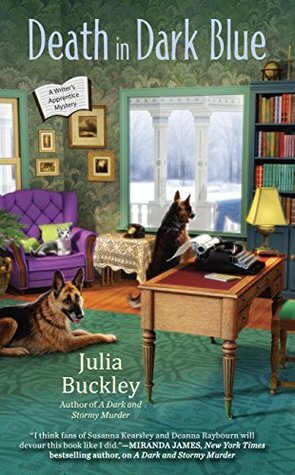 Another great book for fans of cozy mysteries. I give it 4/5 stars. 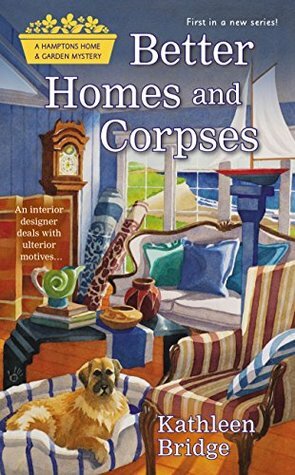 Book two in the Hamptons Home & Garden Mystery series. We meet back up with Meg a few months after the events of the first book only now she is involved in a court battle for ownership of her new cottage and Cole is off on a long business trip leaving the door open for a new romance which makes things interesting though I am not sure that I am a real fan of Byron's but we will see. This time the murder revolves and extension of Elle's family and full blown skeletons. The writing is smooth, the events keep you hooked, and the end leaves you waiting for me in exasperation. I was just happy to have access to the next book to see where this going. 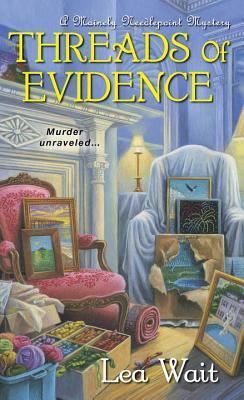 A must read for fans of cozy mysteries. I give it 4/5 star. 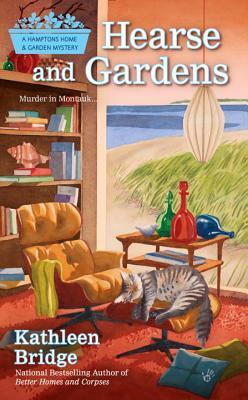 Book one in the Hamptons Home & Garden Mysteries. Meet Meg Barrett who runs a type of interior decorating business out of Montauk which happens to be close to East Hampton. As she showed up to a meeting to see about cataloging the contents of an old attic she walks in to find the Queen of the Hamptons dead and her daughter injured rocking the body. She is hired along with her best friend Elle to catalogue the contents of the house for the insurance company and while doing so finds herself wrapped up in solving the murder which is normal phenomena for her because her father is a retired detective. The development was smooth, the characters are well developed, and the story kept me hooked until the end. I really enjoyed it and give it 4/5 stars. * Received ARC copy from Netgalley in exchange fro an honest review. Expected publication date is May 2, 2017. Book two in the Writer's Apprentice Mystery series. Lena has gotten comfortable by this point having been with Camilla for a couple of months and she even got her name added to the cover of the last book they wrote together. When the advanced copies show up she rushes to give one to Sam and after leaving it in his mailbox she sees what looks like an animal lying in the snow behind his house. When she looks closer it just happens to be the dead body of Sam's missing wife's best friend making the media go crazy. Lena and Camilla start investigating just to clear Sam's name and the end result was a little surprising as well as the every end of the book (though I cannot say more without spoilers). 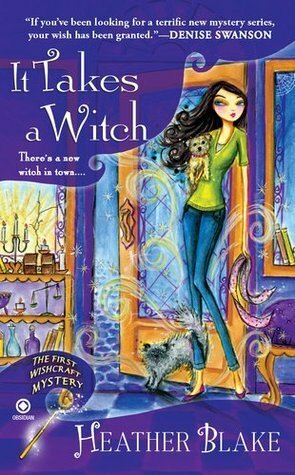 I really enjoyed this book and thinks its great for fans of cozy mysteries with well-developed characters. I give it 4/5 stars. Book one in the Writer's Apprentice Mystery series. 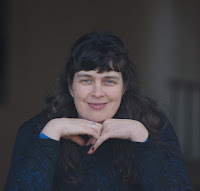 Lena London gets the job of her dreams as an assistant and co-writer to her favorite novelist of all time Camilla Graham. Not only is she employed by her she gets to live in her house as well. On her very first day there she happens to see a body on the nearby beach in the middle of a bad storm. Of course this puts her in the middle of the investigation and being used to research as a write she had an insatiable curiosity to learn more. The book is very well written and I found myself engrossed until the end. 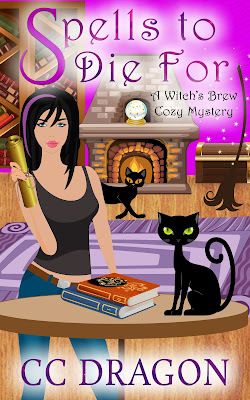 Great fro fans of cozy mysteries. I look forward to the next book in the series and give this one 4/5 stars. The second Twisted Tales novel. I know I know why did I read this if I really did enjoy the last one? Well I had to give another chance maybe she just struggles with the tweaking of the Aladdin told, but I do not think so after being tortured by this one. The premise is what if Sleeping Beauty did not wake up? The whole story is a dream in her head and if that is the case she must be the most boring princess on the planet and do not even get me starting on the love sick prince as he about made me vomit. I was really disappointed because the premise had such potential. If I was not determined than I never would have made it to the end of this one. I gave it 2/5 stars, but it probably deserves a 1.5. I really contemplating not even touching book three. 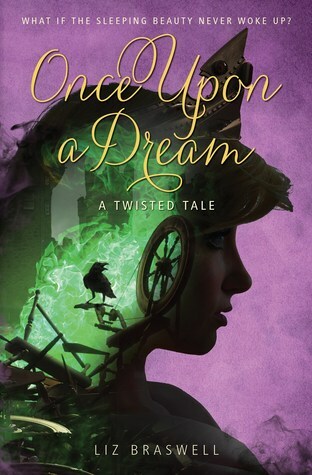 The first book in a series called Twisted Tales though each book stand alone. 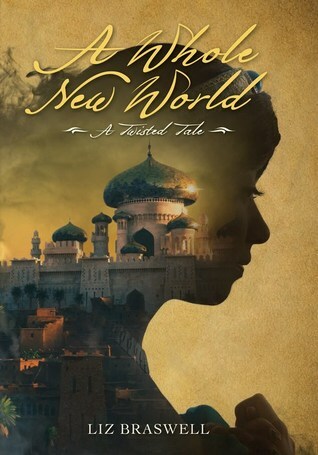 This book tells the story of what might have happened in the Disney story of Aladdin if Jafar got the lamp from the cave instead of Al leaving him trapped underground while Jafar got all the wishes. While it is a lovely premise (especially since I am a huge Disney fan) the story left much to be desired. Parts felt like I was reading the book version of movie, other parts were just weird, and there was quite a bit of violence that I was not expecting (though was not offended by at all it just felt weird). I am not a fan after this book. I gave it 3/5 stars on Goodreads but it is really closer to a 2.5. Book two of the Victoria Square series and much better than book one. With all of the characters fully established at this point the story gets a little more in depth into what makes them tick giving the story another layer to enjoy. The close by old mansion has been bought and as the new owners begin making renovations they find a dead body in the wall that had obviously been there for quite some time. As the police begin investigating more bodies start to pop up making everyone fear for their lives and of course Katie is right in the middle of it all. My only complaint is that I wish she would stand up to Andy about the constant pizza and no time off work but maybe we can take care of that in another book. I give this 4/5 stars. Book two in the Seven Black Diamonds series. In book one we l earned that Lily and her group are all descendants of the Fae and were created to became weapons of the Queens wrath. Well with the exception of Lily who is really her granddaughter and rightful heir to the throne. 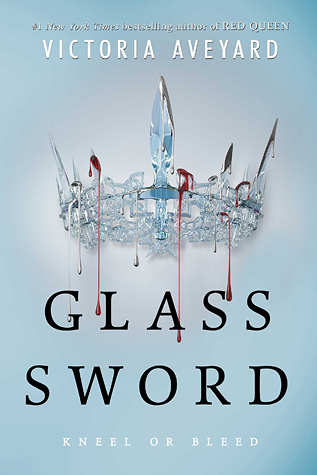 This book picks up right after t hat with the chaos that ensues once it becomes known that she will be crowned heir, and the Queen will call off her war against the humans. 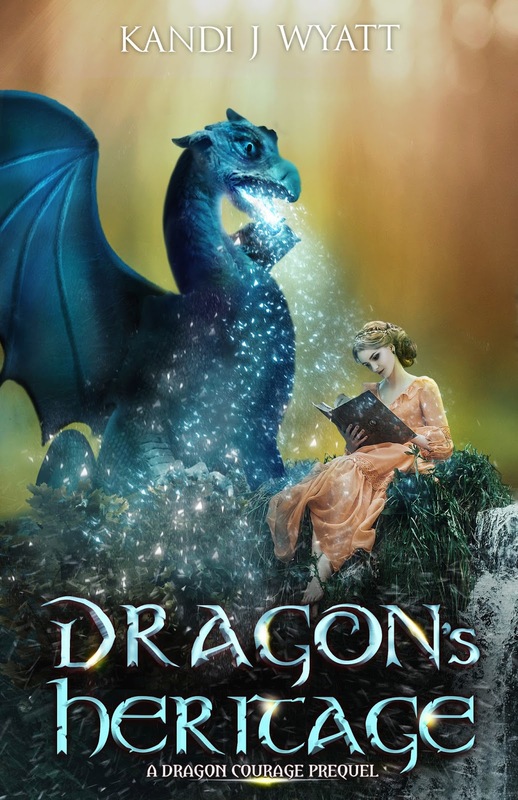 There is lots of magic, action, and drama as the story unfolds that I really enjoyed. 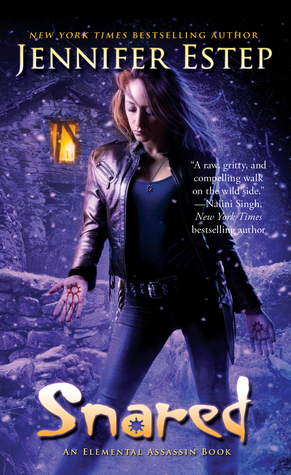 Great for fans of fantasy YA. I give it 4/5 stars. *Received advanced reading copy from Netgalley. Expected publication date is April 25, 2017. Book sixteen in the Elemental Assassin series. 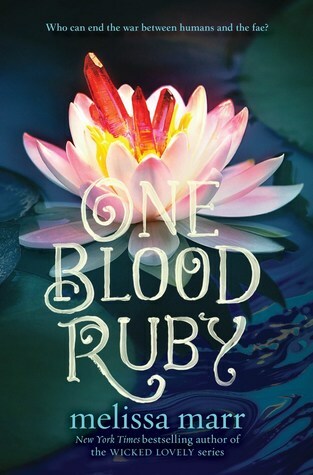 This book picks up with Gin still hunting for information about the Circle so she can finally take down the people responsible for ordering the hit on her mother. While investigating the sister of a friend is kidnapped and Gin gets asked to help locate her. She finds a serial killer along the way that she has to take out before it is all over. The action and teamwork in the book was incredible. I found myself rooting for Gin to figure it out knowing she would before ti was over. It was upsetting that solving this mystery hindered her progress on the circle investigation I imagine that something will come to light eventually. I look forward to the next book in the series to find out. I give it 4/5 stars. *Received a free copy of this book in exchange for an honest review. 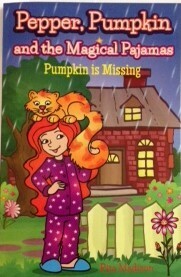 In this adorable book for children in lower grades still building their reading skills we meet Pepper and her cat Pumpkin. We get the whole story of how they met, and what they normally do together until one day Pumpkin comes up missing. Pepper is upset and looks everywhere for her. By the end of the day she has had no luck but remembers the magical pajamas her Nana sent her. After wishing to find Pumpkin with the them she has a happy ending the next day while learning the lesson to always make sure the cat does not get out the door. A really cute story easy for kids to read and relate to. I give it 4/5 stars. Book three in the Red Queen series. At the start of the this book Mare is a prisoner of Mavis having sacrificed herself to save the rest at the end of the second book. The captivity part seemed to drag on forever, and I found myself wishing ti was over already. Then the book finally started to get good, and it was over. Now I have to wait for the next one to find out what in the world happens next. Lots of good fantasy world building but slow on actual action events. I marked it as 4/5 stars on Goodreads but to be perfectly honest it is closer to a 3.5. 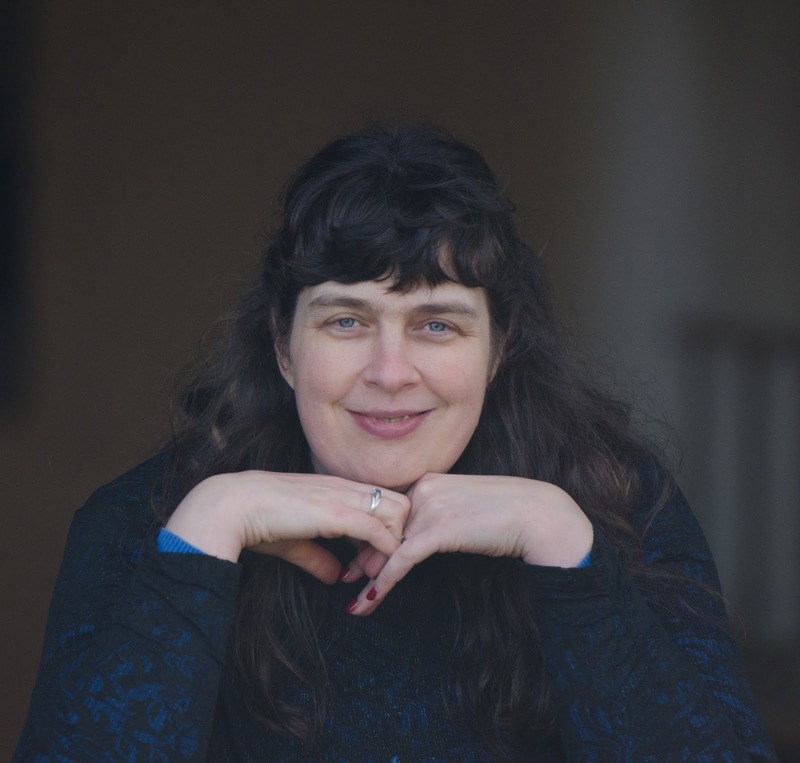 Claudia Crestwood and friends are back again for more mystery, murder, and magic! With a competing coven growing and a new werewolf in town, Claudia has her hands full. Add in the personal secret she’s still trying to uncover plus her first magical ball and she needs all the help she can conjure! 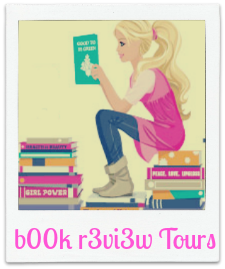 Cozy Mysteries With Sass & Romantic Suspense That Sizzles! A loyal Chicago girl who loves deep dish pizza, the Cubs, and the Lake, C.C. Dragon is fascinated by mysteries, sleuthing, as well as the supernatural. The southern connection comes in because her sister moved down there and the material was too fun and entertaining not to set a series there. Sign-up for news and special offers from C.C. Dragon and receive three free books! 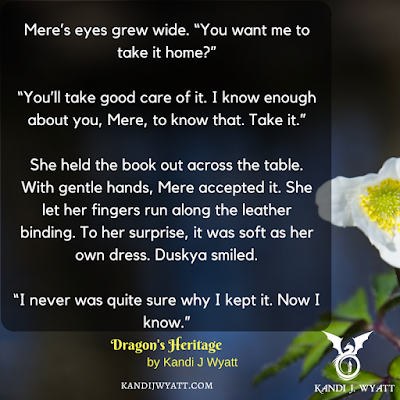 Win $25 Amazon Gift Card, Signed copy of the book of your choice, and a CC/Cheryl Dragon swag pack! Ends April 30, 2017. Open to US residents only. Book one in the Wishcraft Mystery series. I really enjoyed this book. Blake introduces a world where magic exists, and the people that possess this gift are known as crafters at least in their world. They banded together to create a village that looks like it was made fro tourist in an effort to keep their secrets. Darcy and her sister Harper were unaware that they even had powers until their father passed away. Then their aunt contacted them to bring them into the fold. Darcy is still learning the rules, and being around when a murder victim was found did not help things at all. She is steady trying to embrace her new skills while also running around trying to solve a murder. The little details are great, and I am looking forward to many more installments in this series. I give it 4/5 star. 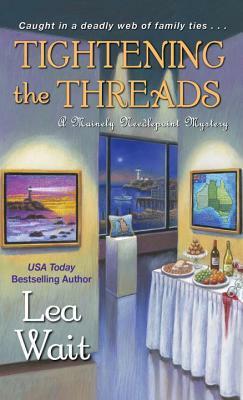 Book three in the Mainely Needlepoint series. Angie has been home for two months by this point, and Gram just got married leaving on her honeymoon. While she is away a young couple discover a piece of really old embroidery of the attic of her familys home that may be worth a small fortune. Of course it brings too much attention and the next thing they know the lawyer that was holding it for them all is murdered. Having trained with a PI Angie cannot leave the case alone until she finally helps solve it. This is acute little story but I had a hard time staying interested this time around so I can only give it 3/5 stars. *Received ARC copy from Netgalley in exchange for an honest review. The expected publication date is April 25, 2017. This book was awesome! Margaret was introduced as a peripheral character quite some time ago, but her story was never told. Now we finally get to read what her background really is that made her the woman we know and love today. I really enjoyed the development, and in typical Iris fashion I was unable to put the book down until I finished it all. I love the way she links all of the characters together to keep the bigger story going. I recommend it to all fans of a good suspense/murder book and of course if you are already an Iris fan like me you will have to read it just because. I give it 5/5 stars. Book two in the Mainely Needlepoint series. Angie is getting comfortable by this point settling into her role at the head of the needle point group. A famous mansion has sat empty in town for decades until finally a celebrity buys the place. Of course everyone in interested in the why until they discover that the actress was the best friend of the teen that was murdered there years ago and is determined to find out who killed her. It was interesting to the evolution of this case since it involved no new bodies just attempts yet they still solved it in the end. I am enjoying the overarching story line and am looking forward to reading the next installment in the series. I give it 4/5 stars. 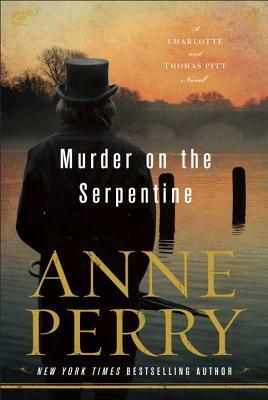 Book 32 in the Charlotte and Thomas Pitt series. Anne has done it again. The characters are a little older now, but they are still sharp. Thomas ends up investigating a case that could make or break his career. of course Charlotte decides to help along the way dragging her sister Emily into it. The information they find does help, and the end to the case surprised me to say the least. I missed Vespasia though since she was traveling abroad her personality was not there to make me giggle. Really good case though, and I love the historical accuracy. I give it 4/5 stars. Book one of the Cats & Curios Mystery series. Meet Rebecca who inherits a building complete with an antique shop as well as a mystery when her Uncle dies. She comes along with two cats that have some very interesting personalities that help her with the mystery along the way. She also finds her Uncles murderer as she stumbles along. I really enjoyed the story and the characters are easy to relate to. I look forward to reading more books in this series and give it 4/5 stars. 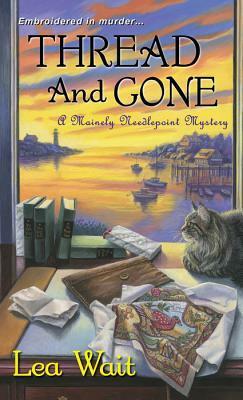 Great for fans of cozy mysteries and cats. 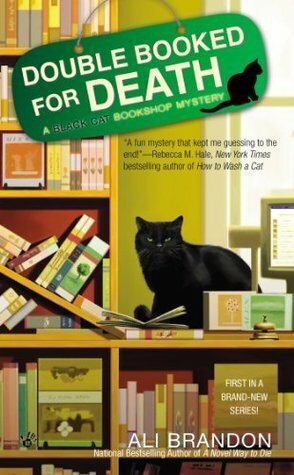 Book one in the Black Cat Bookshop Mystery series. I just might be in love with this cat. 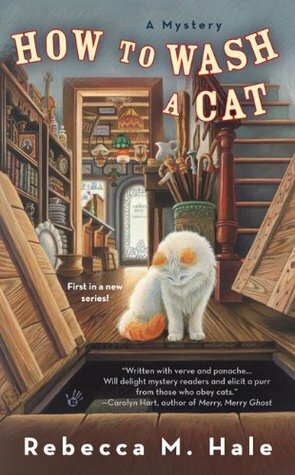 Darla inherits a bookstore, a cat, and an entire building when her Aunt Deedee dies. She in determined to make it a success. At her first book signing the author ends up dead, and they all get involved to find out what happened including the cat who pulls out books to give clues. 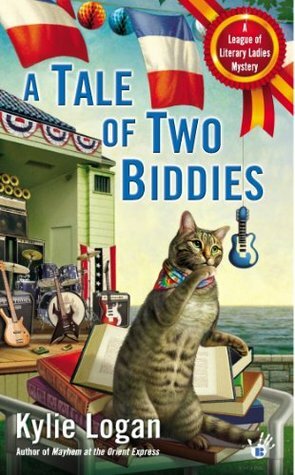 Excellent cozy mystery especially for cat lovers. I give it 4/5 stars. Book two in the League of Literary Ladies series. The B & B is up and running full speed by this point with a full with a full house expected for the upcoming holidays. A large portion of her guests are members of an old boy band. Shortly after they arrive things start to look a hinky until Bea finds the body of Richie in Levi's bar after the fireworks. Of course her and her group of ladies feel compelled to help solve the murder especially since the events again somewhat mirror the events in their current discussion group book. I loved the development, and the story kept me hooked until the end. 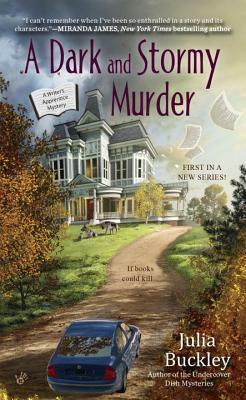 Great for fans of cozy mysteries. I give it 4/5 stars. 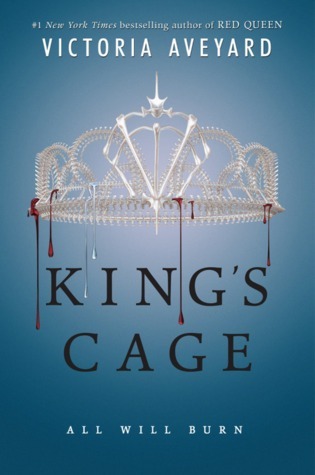 Book two in Red Queen series though it may be a trilogy I'm not sure yet. This book picks up where book one left off. Mare and Cal have barely escaped with their lives, and are now being held by the Red Guard. Maven has taken control and is determined to recapture Mare at any cost. While avoiding capture Mare begins to rescue the other new bloods on the list that Julian gave her, and by the end of the book things have definitely come to a head. Considering the cliffhanger ending I cannot wait to get my hands on the next installment in the series. 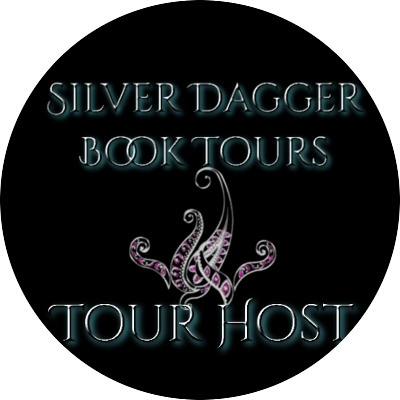 Perfect for fans of YA fantasy novels. I give it 4/5 star. Book five of the Fever series. I really hope that you have read books 1-4 before tackling this story. If you have this book will blow your mind. It is good from start to finish, and I found myself unable to put it down. It kept surprising me left and right. I loved every minute of it. The characters have evolved so well throughout the series that I felt like I was there with Mac rooting her on all the way. A wonderful climax for the arching story line. I can't help but wonder where the next book will take me. I give it 5/5 stars. *Received ARC copy from Netgalley in exchange for an honest review. Publication date is April 18, 2017. Meet Winter Crane who lives in small town named Reeve's End where the main goal of the graduating population is to leave and never return. Winter has this same goal. She hunts, traps, and has some good nature skills to help her survive until she can take off. One evening is the woods she comes across and unconscious boy and has to save him from some feral dogs trying to eat him. This makes her the main target of a very sick man who has been abducting teens that try leave or return to her hometown. She teams up with the brother of the boy she saved after he goes missing, and the story that evolves kept me hooked until the end which I did not see coming. Full of suspense, action, and steady evolution to the conclusion. 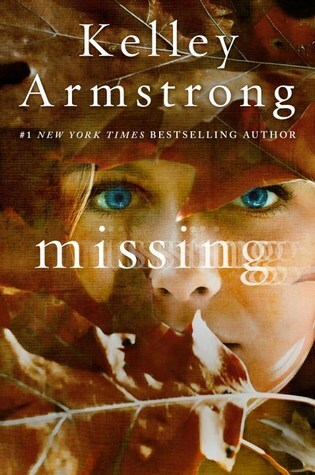 A must read for people that like a good mystery. I give it 4/5 stars. 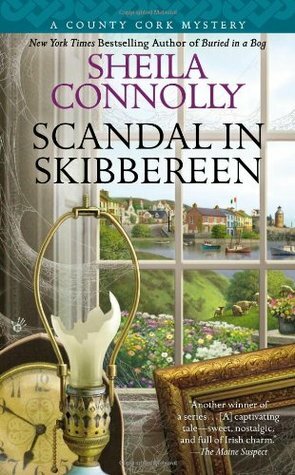 Book five in the County Cork series. This book was definitely different. It starts with a giant snowstorm which apparently Ireland has no way to deal with like we do (I live in Indiana so it reminds me of the lack of stuff the Southern states have since they get no snow). Maura, her staff, Old Billy, and several idiots that were were out get stuck at the pub overnight as the power goes out while the roads are undrivable. While there a woman accused of murder twenty years shows up, and they decide to give her a type of trial to see if they can find out what happened. The story evolves nicely, but it seemed a little weird to have no new dead body. I still enjoyed the characters though and I give it 4/5 stars. In a world where dragons fly free and dragon riders are honored by all, sixteen-year-old Mere struggles with her place. 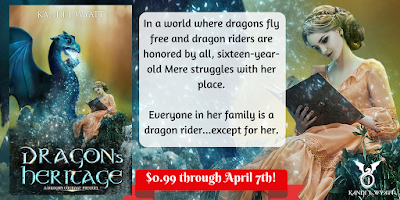 Everyone in her family is a dragon rider, except for her. When a bully begins to rub it in, Mere’s insecurities come to a head. Upon seeing her so upset, Grandma Duskya gives Mere her old journal; a book inscribed with the family’s special heritage. Will Grandma’s journal help Mere see that not everyone has to be the same to be special? Will it help Mere acquire the courage to stand up for herself? 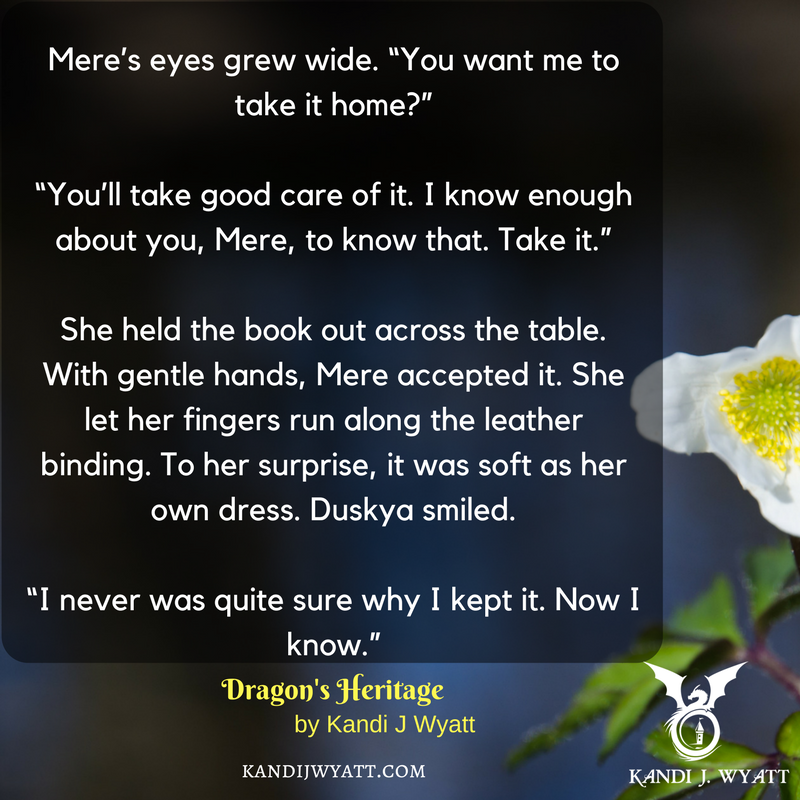 Start from the very beginning in this exciting prequel to the middle grade fantasy Dragon Courage series, Dragon’s Heritage by Kandi J Wyatt. 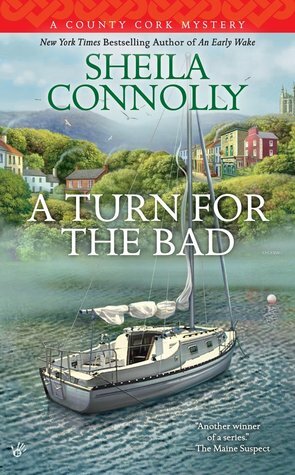 Book four in the County Cork series. This book took a little while to get going. It starts with a missing man though no one has any clue what happened to him but is body has not surfaced. While investigating a smuggling operation is uncovered, and I must admit that Maura steps up to help her fellow countrymen. I do believe she will be staying in Ireland for the long. Now if she could only decide between the two men. I admit that I am rooting for Mick, but we will see what happens. I give it 4/5 stars. 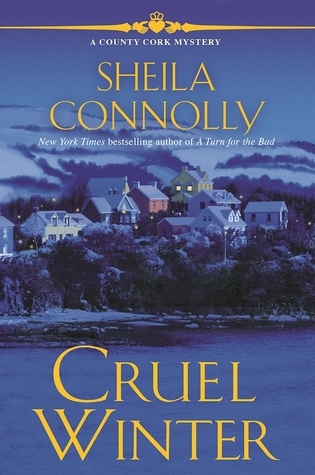 Book three in the County Cork series. A young college comes into the pub one day wanting to research the days that the pub held music events for his dissertation. Him asking questions renews interest in the idea, and suddenly the musicians begin to show up ready to perform. After a successful evening Maura shows up the next morning only to find a dead body in the back room. Of course she has to investigate. The development is smooth. and I love the characters by this point though I must admit that I really wish she would choose between the two men. Overall a really good story though and I give it 4/5 stars. Book two in the County Cork series. Maura has been in Ireland for three months by this point, and summer is in full swing. She is still getting the hang of being the pub owner when one day a very rude American woman shows up asking for help. I must admit the I am really hoping that most Americans do not act like this when they travel abroad as I wanted to slap her a few times. Being too nice for her own good Maura helps her with her treasure hunt. Along the way someone is murdered, and Maura finds herself caught up in the investigation whether she wants to me or not. 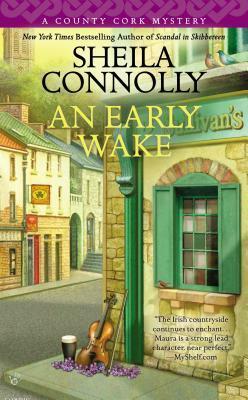 I am loving the main characters, and the author creates a nice friendly view of Ireland that I really enjoy. I stayed hooked until the end, and am looking forward to reading more books in the series. 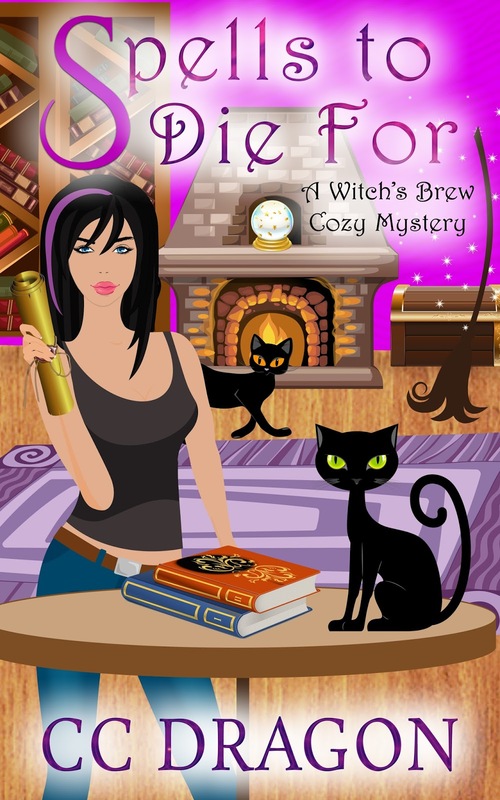 Great fro fans of cozy mysteries. I give it 4/5 stars.